What better way to spend the 4th of July than registering people to vote, and getting civic? On the 4th of July ICL was invited to provide voter registration in both Seattle and Tacoma, Washington. In Seattle, under the auspices of the King County Department of Elections, part of the ICL delegation participated in the Naturalization Ceremony of people from dozens of other nations. We registered over 110 new citizens. It was a profound, patriotic, and life-changing experience, and a modest contribution to the work of making a more perfect Union. In Tacoma, the other part of the delegation created a voter registration booth and interacted with thousands of people. The Independence Day Celebration began at 10 am and went until 10:30 pm when it closed with a fireworks display. The celebration drew over 120,000 people, and it featured seven music stages, hundreds of vendors, and an air show. ICL staff and students interviewed several hundred people asking the question, “What do you think is the best way to get more people civically engaged and to vote?” We received and recorded several dozen distinct and valuable suggestions which we will share over the next few days. We also registered many new voters, young and old. 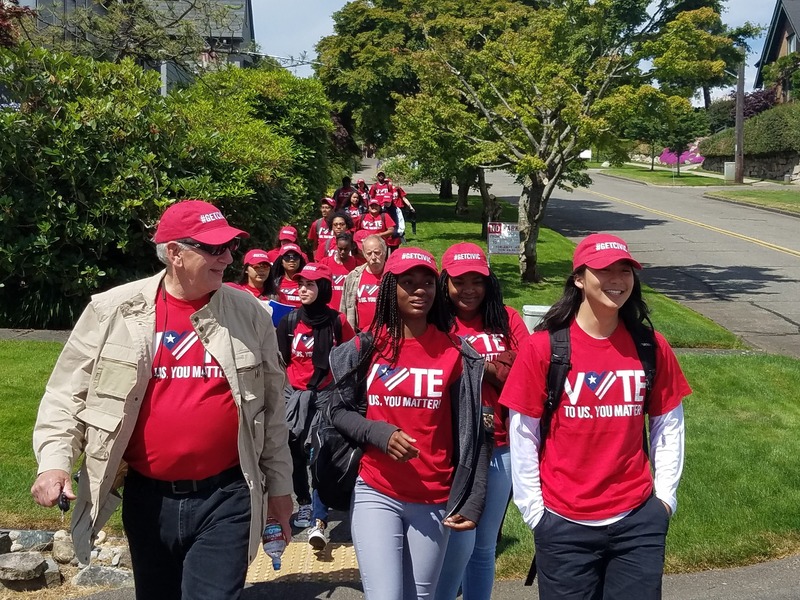 The hours of talking with people from very diverse walks-of-life gave everyone a deeper understanding of the obstacles and struggles that are necessary to overcome in order to increase the number of voting Americans.